It’s that time time of year when one has to start making lists. One almost has to write a list of the lists one has to write. 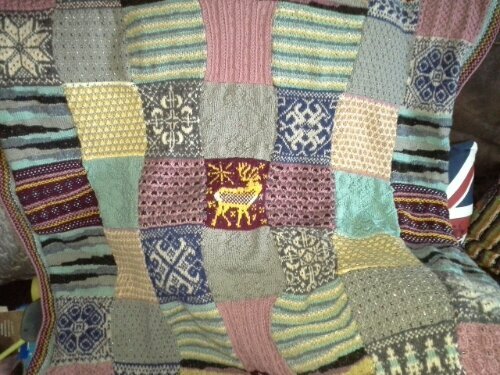 4- Mystery Blanket 2014 , this strictly speaking is in hibernation but I do need to start knitting it for Evalyn. I have written another two hat patterns Harry and Nick so have been test knitting these. I am pleased with the results. 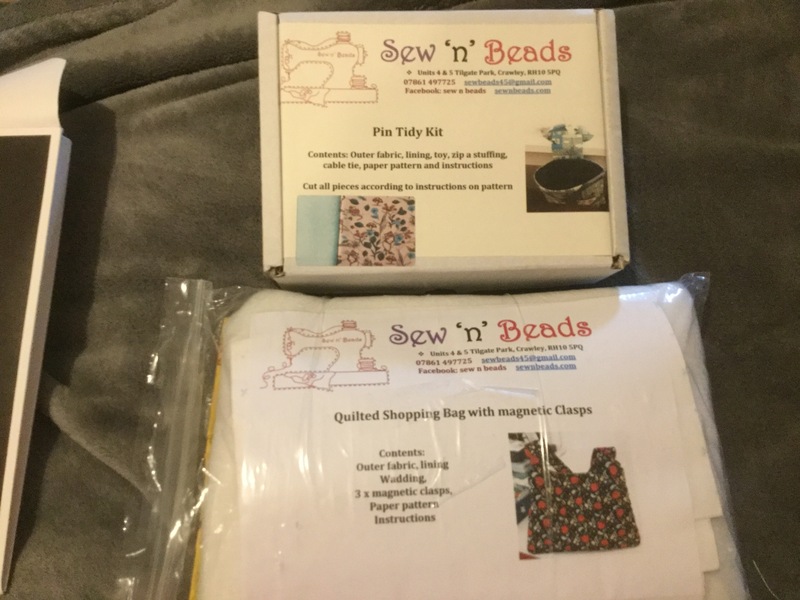 Now we come to the sewing projects. 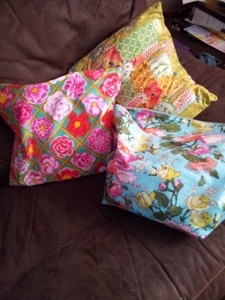 I am so very far behind with these as I just do not have any free time to sew at the minute. The knitting gets done because it’s portable and I can knit whilst travelling. 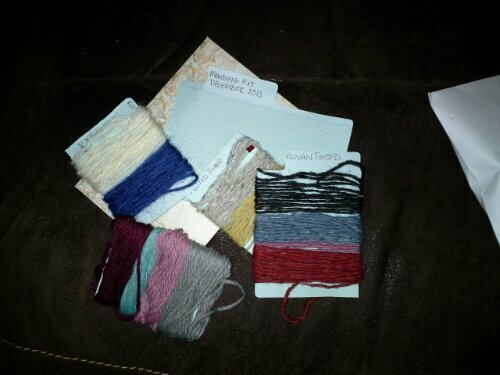 1-numerous project pouches which are the most important to get done. 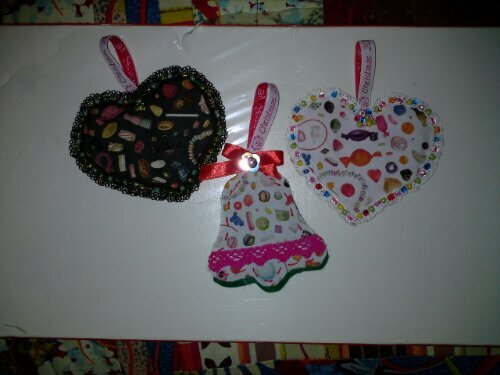 The hearts are made with Liberty fabric , felt and trimmed with beads and vintage lace that was made in England. I also made her a repair kit so that if disaster stikes and it gets a hole she can fix it. I am so pleased she liked it, although to be honest she didn’t like it she loved it. I like making things for Zoe as she always appreciates a hand crafted gift. As this was her Christmas and birthday present , we exchanged Christmas presents. 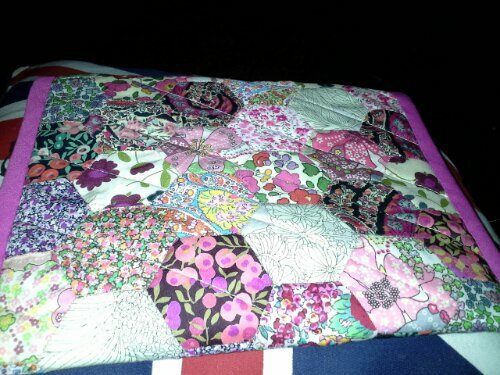 She opened hers first and then said I can’t give you yours now which was a silly thing to say as she has made me the most beautiful hand patchwork quilted pouch. She is an amazing talented crafter and her embroidery and sewing skills are outstanding. Zoe is extremely good at the little details and always adds a little something that I wouldn’t think of. 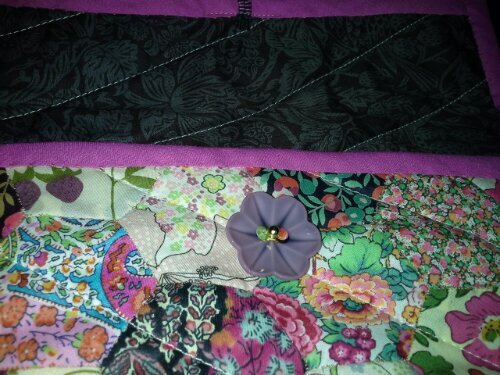 The hexagons are all hand stitched as is the binding and the fabrics are Liberty prints. She added a gorgeous button and sewed tiny beads on top of it. I can’t stop picking it up and stroking it. 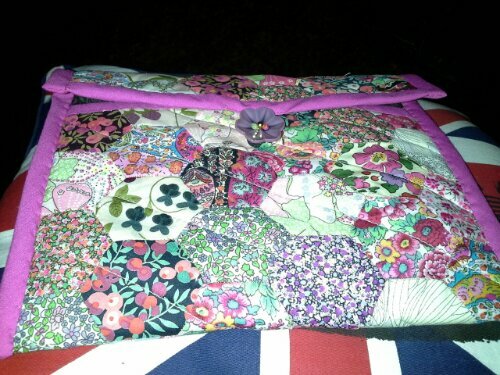 Now I have to decide whether to use it as a handbag organiser or a notions pouch. At the moment it has my favourite pens and a pair of scissors in it. Thanks Zoe I really do appreciate it and love it. I have come to a decision. It’s the same decision I arrive at every few years. Next year I am only giving presents I have made. 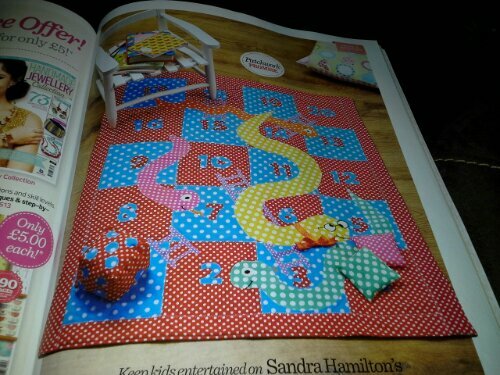 I have a few ideas, for the young ones in my new Sew magazines is a pattern for a snakes and ladder mat. This should use a fair bit of fabric. There is a new baby on the way and I am determined to make everything from my stash fabric. If its a girl it will be easy, not so much if it’s a boy. 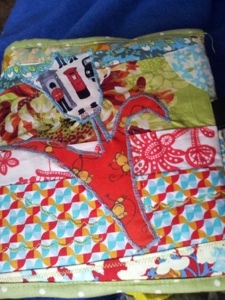 I am itching to get some sewing done but am not up to it . 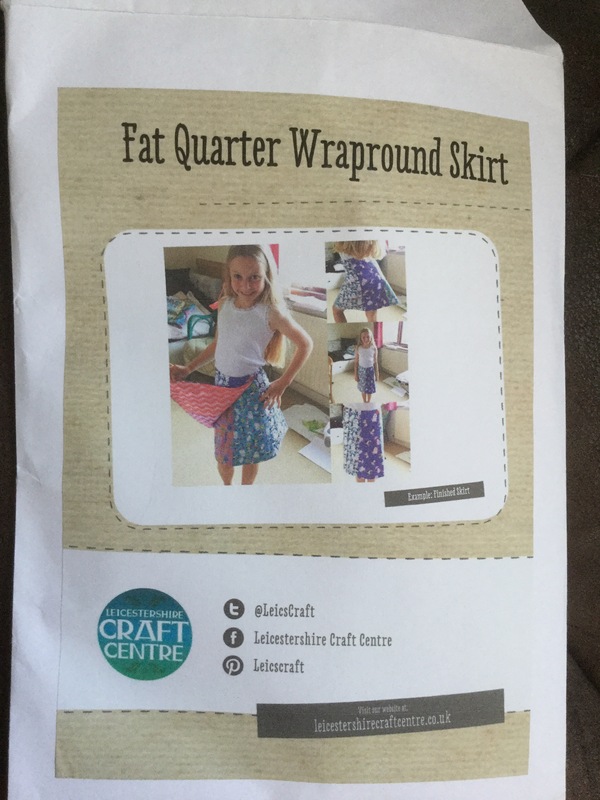 A fairly new trend in craft magazines is that the patterns to make the projects shown have to be downloaded from a website. They are still free but I find it annoying. 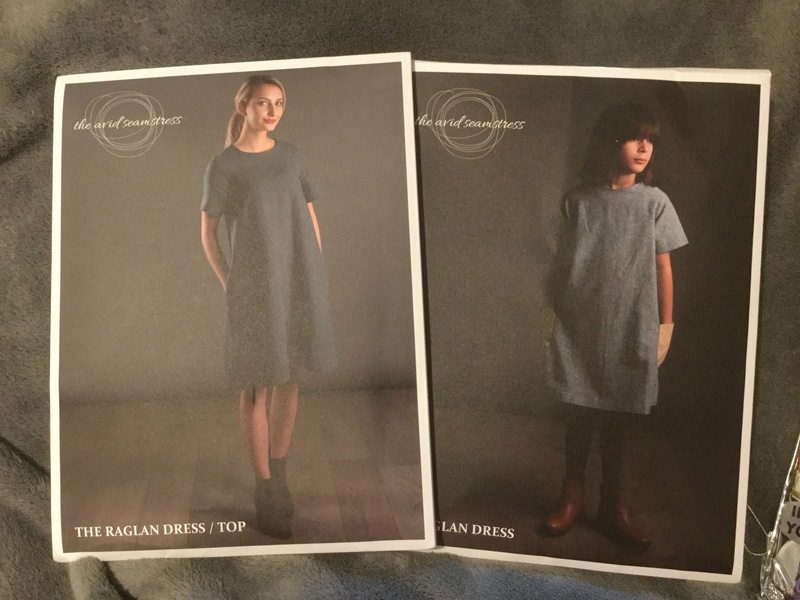 If I pay for a magazine of patterns I do not expect to have to print them out myself. Ironically this is the last issue of my Sew subscription. I decided not to renew as there wasn’t much in the previous issues. This issue however had at least three projects I will be making and in next month’s issue there looks like a couple of projects I will make. Signing off to see if I can download the patterns. Today was the baby shower for Sarah and baby Jones. 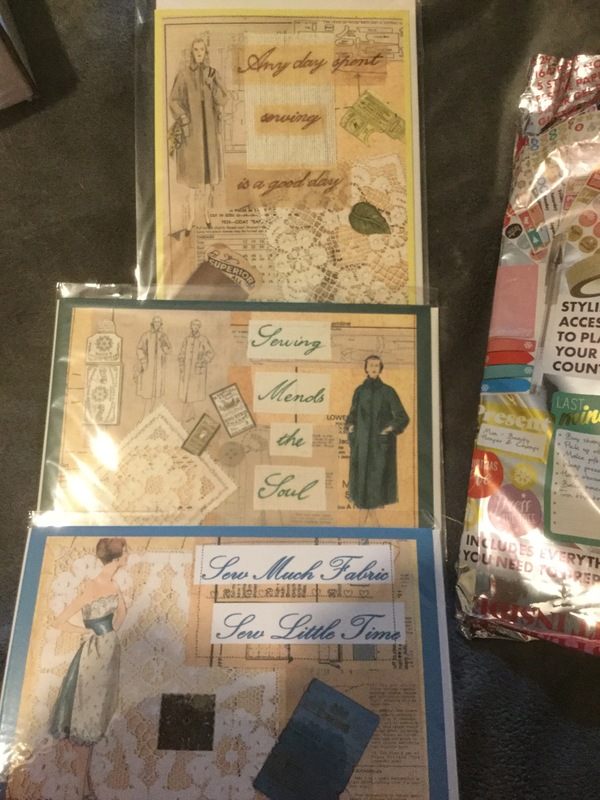 I was given my orders and everything had to be ready for it and even though she’d seen most of it she wanted it to be given to her at the shower. If I’m honest I’m not sure of the point of baby showers, other than to get lots of gifts. I’d rather do my gifting after the baby is born. none the less a good time was had by all. We had to blind taste some baby food and all agreed that the savoury ones were disgusting but I found the banana and apple one quite nice! Predictions were made for the labour length, time and date of birth. The ranged from April 12th – May 7th and labour times from 3 hours to 12. Lets hope it’s the lower end of the scale. 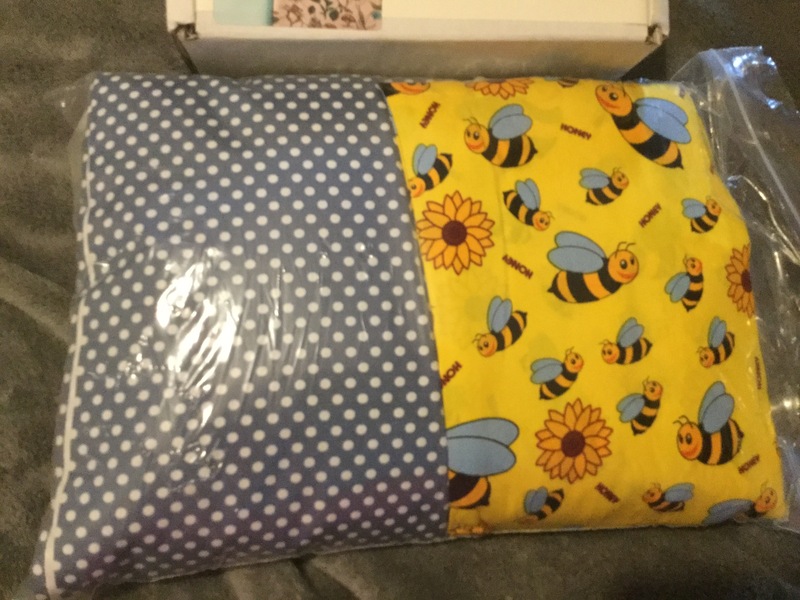 For the shower I had made a cot quilt, a cot bumper, some flannels which were edged in the same fabrics as the quilt, a swaddle and the blanket. I am really pleased with the results and my other daughter Jemma was rather shocked for some reason. She kept saying did you really make all those they’re really good. I wasn’t sure whether I should be insulted or complimented. I also made the baby a few comforters which some of the mums there were so impressed with they asked me to make them some. My favourite item was the swaddle which will be my new must make present for new babies. It’s not long now and I am so excited. I am so looking forward to becoming Nanna Jen.